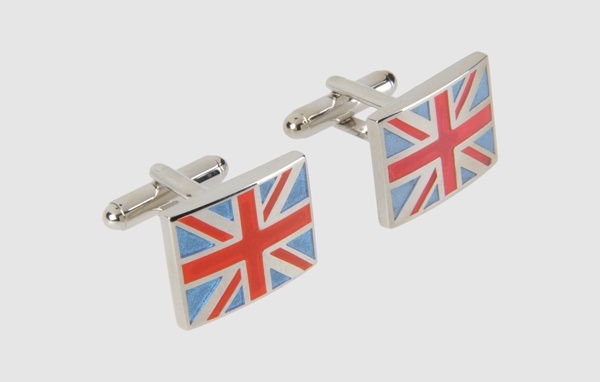 Simon Carter shows his true colors with these Union Flag cufflinks, and now you can as well! Depicting the flag of the United Kingdom of Great Britain and Northern Ireland, it’s an understated way to show your patriotism without coming off as gaudy or over the top. Made of metal with enamel facings, these cufflinks are at Yoox now. This entry was posted in Accessories, Cufflinks and tagged Great Britain, Northern Ireland, Simon Carter, Union Flag, United Kingdom. Bookmark the permalink.